On January 16, 2019 the Rotary Club of Alexandria Central Club installed our newest members, Florence King and Ronal Butler at our weekly meeting. Florence and Ronal accepted their official Certificate of Membership from Club Secretary, Joan Renner. Florence was presented with her Rotary lapel pin by the District Governor Glenn Yarborough, Jr. and Ronal was presented with his Rotary lapel pin by membership chair, George Valenzuela. Florence is the owner of Financial Literacy and Credit Management and Ronal is the owner of Networking & Engineering Technologies, Inc. (N.E.T.). 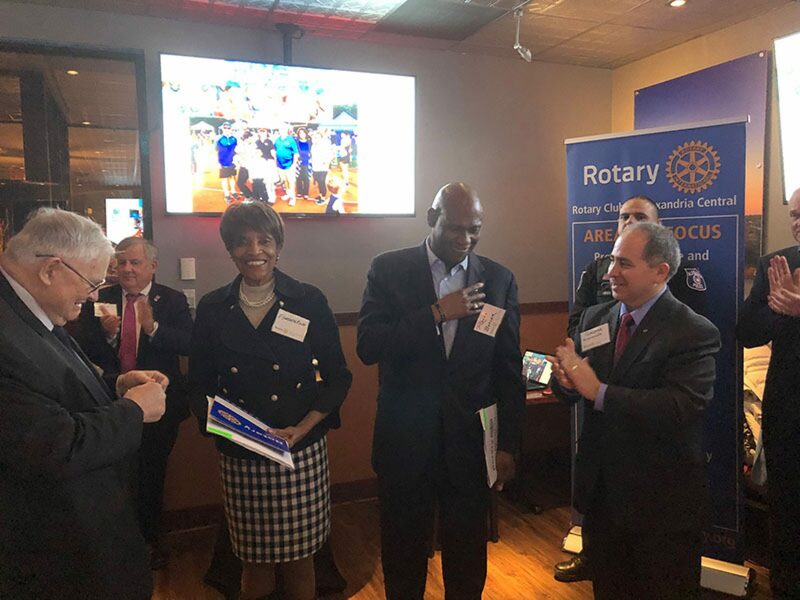 We are thrilled to have both Florence & Ronal as our newest members, and we are grateful for all their talents they will bring to the Rotary Club of Alexandria Central.